The Rt Revd David Conner, KCVO, was educated at Erith Grammar School and Exeter College, Oxford. Having trained for the priesthood at St Stephen’s House, Oxford, in 1971, he became Chaplain of St Edward’s School, Oxford and, later, also Team Vicar of Summertown-with-Wolvercote. From 1980-86 he was Senior Chaplain of Winchester College and, for much of this period, Examining Chaplain to the Bishop of Winchester. He was Vicar of Great St Mary’s, the University Church of Cambridge, from 1987-94, and Rural Dean of Cambridge from 1989-94. In February, 1994, he became Bishop of Lynn in the Diocese of Norwich. Since 1998 he has been Dean of Windsor, during which time he also held the position of Bishop to the Forces from 2001-2009. He is an Honorary Fellow of Girton College, Cambridge, and was Honorary Chaplain to The Pilgrims until 2012. He was appointed KCVO in 2010. The Reverend Dr Hueston Finlay read Engineering and Theology at Trinity College, Dublin and pursued his doctoral studies at the University of London. Following ordination, he worked in the cathedral parish of St Canice in the County of Kilkenny, where he acted as Bishop’s Vicar, Diocesan Librarian and Diocesan Registrar. While there he taught theology in the country’s largest boarding school and lectured on ethics and doctrine for the diocesan adult education programme. He then moved to Cambridge when he was appointed as Curate to the University Church and Chaplain to Girton College. More recently he has served as Dean of Chapel, Director of Studies in Theology, and Tutor at Magdalene College Cambridge. He has also held an Affiliated Lectureship at the University of Cambridge, where he taught doctrine. 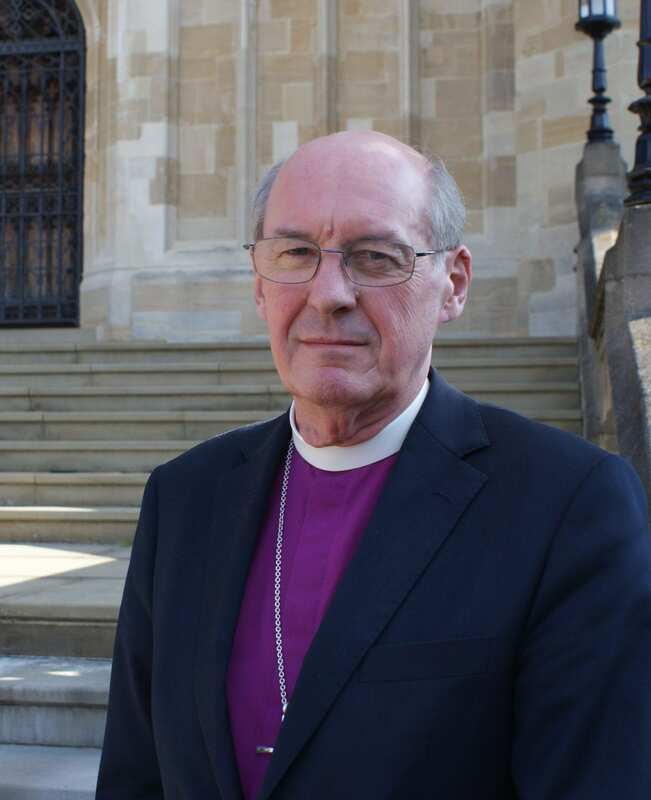 He was appointed a Canon of St George’s Chapel in 2004 and Warden of St George’s House in 2008. The Reverend Canon Martin Poll was installed as a Canon of St George’s Chapel, Windsor Castle, on 1 October 2012, with responsibility for the Royal Chapel in the Great Park, and the appointment of Canon Chaplain. In June 2014, Her Majesty the Queen appointed him as a Domestic Chaplain in Windsor and at Easter 2016 he was additionally appointed Canon Precentor in St George’s Chapel. Martin was born and educated in Enfield, Middlesex, prior to reading English at the University of Kent at Canterbury (Christ Church College) followed by training for the Priesthood at Oxford (Ripon College Cuddesdon). He joined the Royal Navy in 1990, and served in a number of sea-going and shore-side appointments. In 1994 he was appointed Chaplain to Britannia Royal Naval College Dartmouth and later became chaplain to HMS Invincible, seeing active service in the Gulf during the no-fly operations over Iraq and the former Yugoslavia. In 2005, Martin was appointed as Staff Chaplain to the Chaplain of the Fleet and took over as Staff Chaplain within the Fleet, with responsibility to Commander-in-Chief Fleet. In 2007 he became chaplain to HMS Illustrious and later appointed Chaplaincy Team Leader within HM Naval Base Portsmouth. He was also at this time a member of the Admiralty Interview Board for prospective chaplains. In October 2010 he was promoted Principal Chaplain and appointed Archdeacon for the Royal Navy by the Archbishop of Canterbury, being made an Honorary Chaplain to Her Majesty the Queen in November of that year. Mark Powell (aged 58) trained for the ministry at Ripon College Cuddesdon, after studying chemistry at the University of Bath and obtaining a doctorate on non-narcotic analgesics. From 1985 to 1988, he was Curate at Evesham in Worcester diocese. From 1988 to 1996, he was Vicar of Exhall in Coventry diocese, before moving to St Albans diocese where he was Vicar of Leavesden from 1996 to 2000. From 2000 to 2011, he was Vicar of St Peter, Ealing in London diocese. 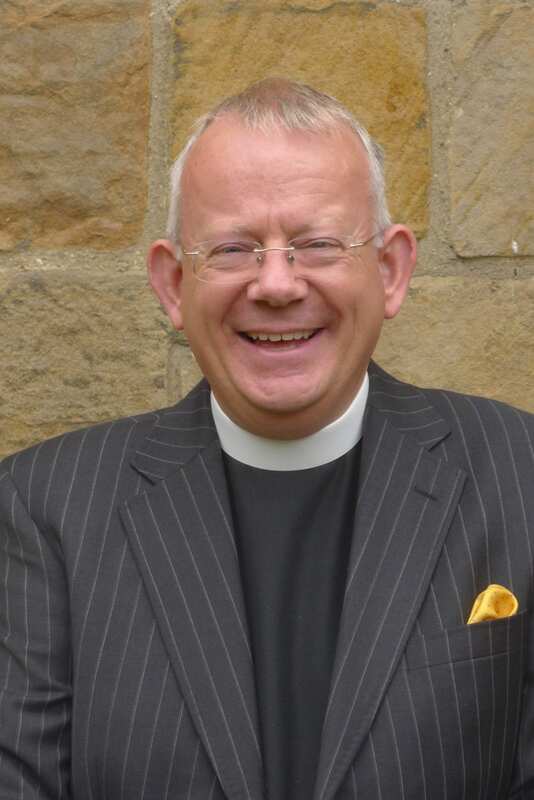 He became Rector of Melbourne, Ticknall, Smisby and Stanton-by-Bridge in Derby diocese in 2011, and then moved to Windsor to take up the post of Canon in February 2016. Mark is married to Helen and they have two children, James and Anna. Mark’s interests include liturgy and psychology, music and art; he has a particular interest in alchemy and spirituality. Richard Collier-Keywood was Global Vice-Chairman of PricewaterhouseCoopers (PwC) from 2012 until February 2017 having previously served as PwC UK Managing Partner since 2008. In his final role, Richard chaired the Global PwC Network Executive Team and was responsible for everything from strategy through operations. Since February 2017, Richard has taken on a number of roles including chairing the School for Social Entrepreneurs, chairing Humentum, a global NGO based in Washington DC, chairing New Forest Care, a child care company specialising in looking after some of the most behaviourally challenged children in the UK, Managing Partner of Nala Ventures & Investments LLP and is a senior adviser to DCMS on the Inclusive Economy. Richard is a barrister and a fellow of the Institute of Chartered Accountants in England & Wales. Dave is a Strategic Business Advisor, with more than 35 years of experience as an entrepreneur and managing executives of global technology companies. He has a BsC in International Finance, University of Massachusetts, Dartmouth, MA, USA and he is married with three beautiful children and a grandson. Dave spends approximately 2/3rds of his life internationally, and 1/3 in the USA. Loretta joined Christian Aid as the Chief Executive in April 2010. Loretta is a lawyer by training who began a career in financial regulation in 1990. The first Head of Enforcement Law, Policy and International Co-operation for the Financial Services Authority, she also chaired the International Organisation of Securities Commissions’ Standing Committee on Enforcement and Information-Sharing. In 2004, Loretta became Chief Executive of the Financial Services Compensation Scheme, in which capacity she oversaw the payment of over £21bn in compensation to victims of bank and other financial failures. In recognition of her contribution in that role, she was awarded the OBE in the New Year’s Honours 2010. Hugh Montgomery is Professor of Intensive Care Medicine at University College London (UCL), and also practices as a Consultant Intensivist at the Whittington Hospital. Obtaining a 1st class degree in Cardiopulmonary Physiology in 1984, he graduated from the Middlesex Hospital Medical School in 1987. He has since accredited as a specialist in general internal medicine, intensive care, and cardiology. He also directs research at the UCL Institute for Sport Exercise and Medicine, and has authored over 300 scientific publications. He was research lead for the 2007 Caudwell Xtreme Everest medical research expedition. He has a strong interest in climate change and its impacts on human health, and co-chaired the 2015 Lancet Commission on the subject. Hugh is also a published children’s’ author, and is married to Mary, a Consultant Paediatric Intensivist. They have two boys. John Newbegin is a retired Solicitor. He was General Counsel to C. Hoare & Co and prior to that a Partner in CMS Cameron McKenna. He has been a Non-Executive Director of an insurance company and a Lloyd’s Broker. He is currently a Trustee of Pitzhanger Manor and Gallery Trust and Chairman of the Finance and General Purposes Committee of the Dean and Canons of Windsor. David is the Executive Chairman of the Celestial Group, a London-based private investment firm. He founded a UK based advisory firm which he merged in 2006 with a leading US consulting and private equity firm. David later founded a data technology business, which he sold in 2013. He is a member of the Supervisory Board of the Switzerland-based Holy Fashion Group and is a former Vice Chairman of the Advisory Board of Kleinwort Benson Bank. David is a Council Member of the Royal Society for Asian Affairs and non-executive director of Pitch@Palace, a forum established in 2014 to support entrepreneurs and technology start-ups in the UK and overseas. Dr Ralph Townsend has had a long career in secondary education. After a Senior Scholarship at Keble College and a Junior Research Fellowship at Lincoln College, Oxford, he was successively Headmaster of Sydney Grammar School in Australia (1989-1999), Oundle School (1999-2005) and Winchester College (2005-2016). He is currently Chairman of an Academy group of primary and secondary schools, Senior Adviser to China-Europe Education Research Foundation, and Educational Adviser to projects in Armenia, Slovakia and Russia. He has published books and articles on Christian spirituality and education. Robert Barclay Woods, CBE is the chairman of P&O Ferries & DP World Southampton, and was formerly the Chief Executive of P&O Steam Navigation Company. Robert Woods was born in 1946 and educated at Cambridge University, graduating in economics and history in 1968. In 1971 he joined P&O General Cargo Division. He was then seconded to J Swire & Sons, Tokyo. In 1980 he transferred to Overseas Containers Limited (later P&O Containers Limited), heading the Company’s Gulf headquarters in Dubai. 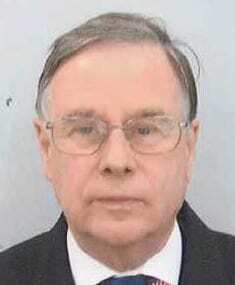 Returning to the United Kingdom in 1984 he was appointed General Manager of the Far East Trade. In 1989 he was appointed Joint Managing Director of OCL. A year later he became sole Managing Director of P&O Containers Limited as well as being made Chairman of Tilbury Container Services (TCS) and Southampton Container Terminal (SCT). In January 1996, he was appointed to the Board of the P&O Steam Navigation Company and in September that year he was appointed Managing Director of P&O Nedlloyd Limited on the merger of P&O Containers Limited and Nedlloyd Lines BV. In May 2002 he was appointed Non-Executive Director of John Swire and Sons Limited. In October 2002 he was appointed President of the Chamber of Shipping. He was awarded the CBE in the 2003 and in January 2004 he was appointed Chief Executive of P&O Steam Navigation Co. Following the takeover of P&O by DP World in 2006, he retired from his executive role. He remains Chairman of P&O Ferries and DP World Southampton and sits on the board for DP World Limited. In October 2006, he was appointed Chairman of the board of trustees of the Mission to Seafarers. In January 2007 he was appointed Chairman of Maritime London. In 2007 he received an Honorary Doctorate from Anglia Ruskin University. In October 2012 he was appointed President of the Chartered Institute of Shipbrokers. He is Chairman for the Marine Society & Sea Cadets Royalist Campaign. He is an Honorary Captain in the Royal Naval Reserve and is married with four children. His interests are cycling, driving vintage cars and flying vintage aircraft and field sports.